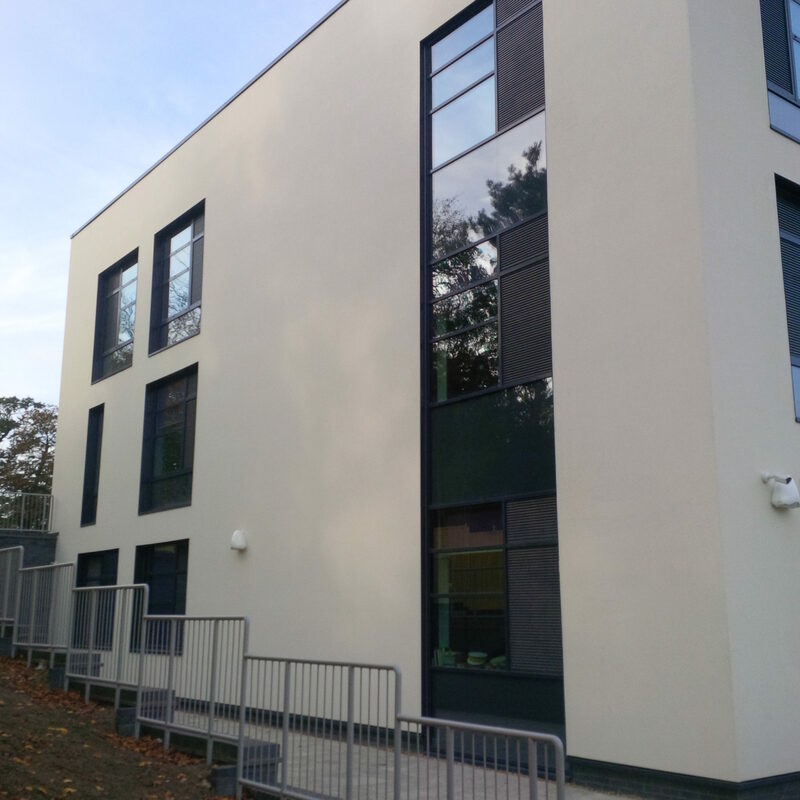 Sevenoak’s newest school building opened its doors in September 2016 after a £14million development to turn the state-funded Christian secondary into a state-of-the-art facility which now accommodates 600 pupils between 11 to 16 years. 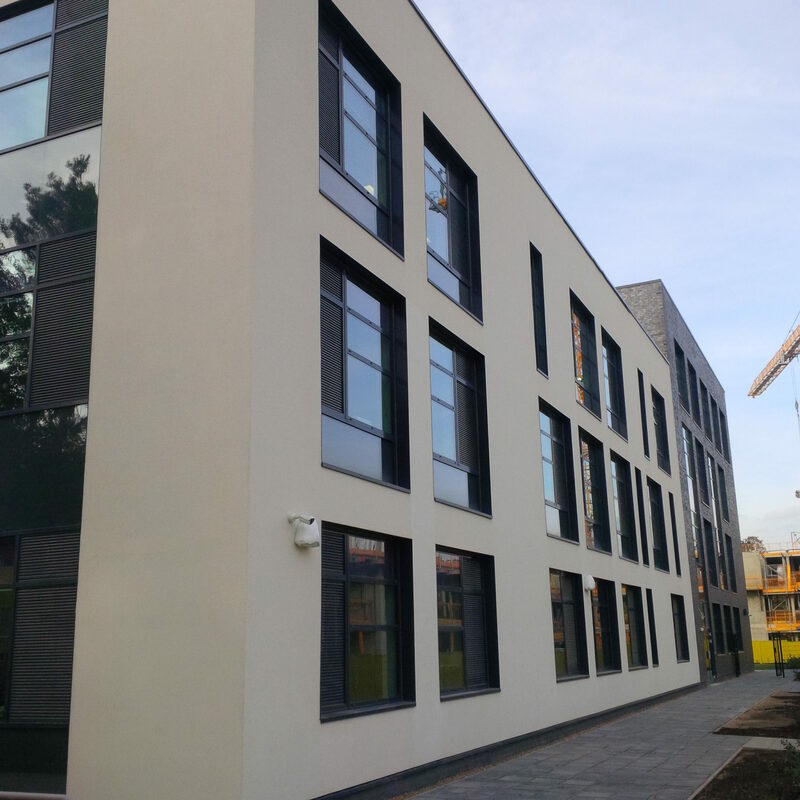 The contract, awarded by Kent County Council through the Scape Major Works Framework, specified the development of a new home for Trinity on Seal Hollow Road which sits alongside the first new grammar school in the UK for 50 years, which is currently under construction. 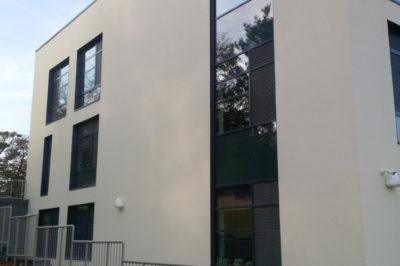 Installed by Façade Concepts, SPSenvirowall’s direct fix 270mm Mineral wool to SFS with silicone finish was utilised to achieve a u-value calculation of 0.16 making the building thermally efficient. 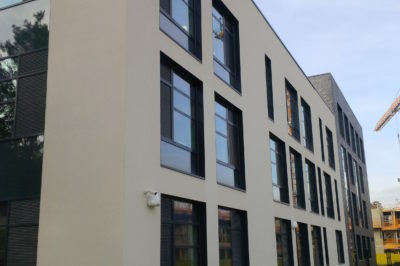 The aesthetic brief required that a bright monolithic finish that compliments the dark grey bricks forming the remainder of the façade was achieved. 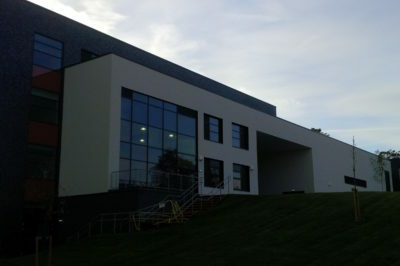 Students of the brand new facility can now benefit from the warm and comfortable learning environment at a highly modernised and brightly designed new educational facility whilst the Council will benefit from low cost utility bills and a reduced carbon footprint.